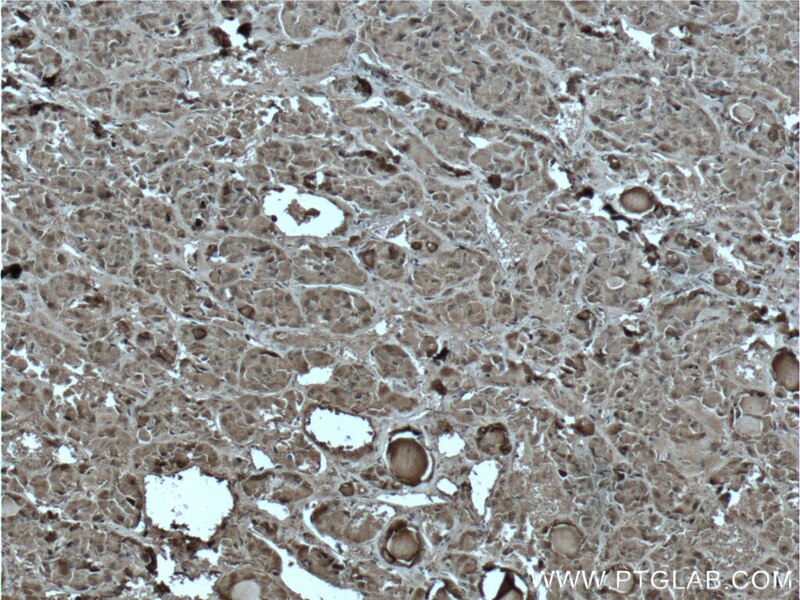 Immunohistochemical analysis of paraffin-embedded human pituitary tissue slide using 66358-1-Ig( POMC Antibody) at dilution of 1:200 (under 10x lens). heat mediated antigen retrieved with Tris-EDTA buffer(pH9). 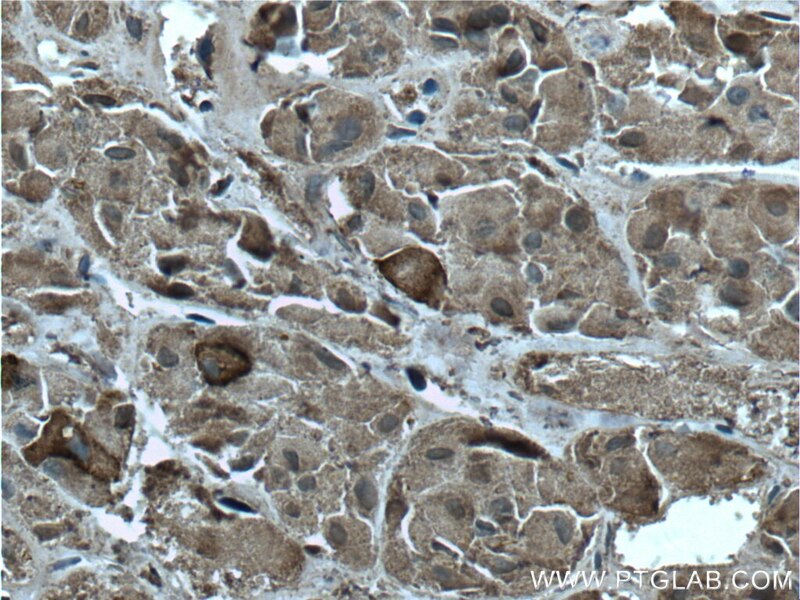 Immunohistochemical analysis of paraffin-embedded human pituitary tissue slide using 66358-1-Ig( POMC Antibody) at dilution of 1:200 (under 40x lens). heat mediated antigen retrieved with Tris-EDTA buffer(pH9). Pro-opiomelanocortin (POMC) is a prohormone that encodes multiple smaller peptide hormones within its structure. 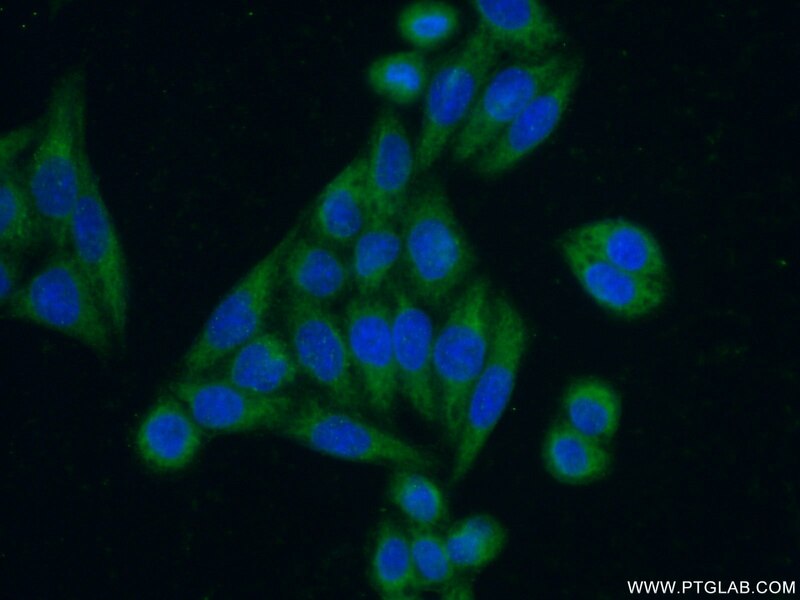 POMC plays important roles in many pathological and physiological processes, including regulating energy metabolism, immune reactions, and sexual functions. POMC expression differs quantitatively and qualitatively among most normal tissues. The large molecule of POMC is the source of several important biologically active substances. POMC can be cleaved enzymatically into the following peptides: d NPP, γ-MSH, ACTH, α-MSH, CLIP, Lipotropin β, Lipotropin γ, β-MSH, β endorphin and Met-enkephalin. 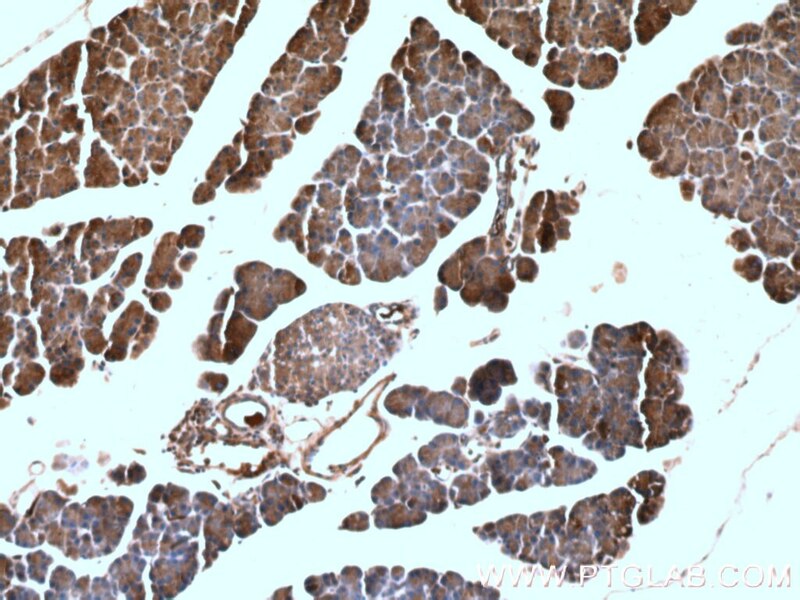 Immunohistochemical analysis of paraffin-embedded mouse pancreas tissue slide using 66358-1-Ig( POMC antibody) at dilution of 1:200 (under 10x lens). 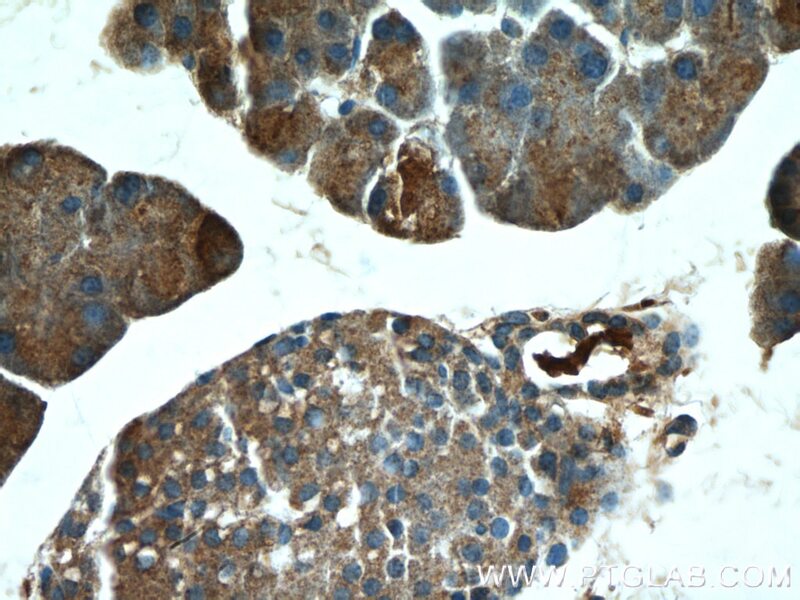 Immunohistochemical analysis of paraffin-embedded mouse pancreas tissue slide using 66358-1-Ig( POMC antibody) at dilution of 1:200 (under 40x lens).